Minutes is all you need to start EXERCISING! Blogs from Crafts to Baby Weight! BeHappyMum a brand of HappyMum Solutions develops mobile apps just for mothers providing exercise and parenting programmes adapted by fitness and psychology experts. Android and iOS compatible apps; FitMama, PlayMama, WellMama are available to download on GooglePlay and Appstore for free and with pro versions. BeHappyMum’s aim is to provide new mothers with easy, quick and convenient mobile apps to support mothers in their every-day lives and motherhood’s challenges. BeHappyMum’s apps help mothers and their young children to have fun and encourage early learning development through quick and convenient apps for post-pregnancy and child development; tailored app options for time, place, pace, moods, body areas and capabilities. Top fitness apps and busy mums Worldwide enjoy these best apps for moms. All apps automatically track users progress and areas to improve on and offer reward posters and motivational encouragement for mothers. FitMama, gives mothers an effective solution to lose post-pregnancy baby weight at home with 5 or 10 minute fat-busting workouts; busy mothers can pick their time, body area and pace with progress automatically tracked and right and wrong advice for safe exercising . 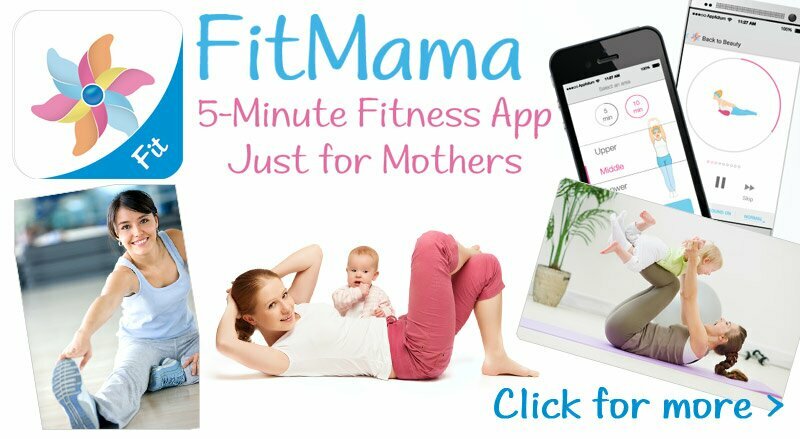 FitMama home workouts for busy moms best app for losing baby weight simple exercises for even the kitchen and playground; track exercise progress get rid of unwanted baby weight, mummy tummy’s, tighten stomach after baby safely and quickly. PlayMama app for new moms baby game ideas for early learning development underpinned by the UK Early Years Foundation Stage EYFS Framework with over 60 learning games for each aged app 0-1 years old, 1-2 years old, 2-4 years old. Easy baby game ideas for mother and baby playtime at home to settle down kids before bed or entertain babies and toddlers with fun games whilst encouraging the development and the 7 key skills important in the first 2 years a babies development; social skills, attention & memory, reasoning, five senses, speech, fine motor and co-ordination. All the games are adapted for each age group and according to physical progress, such as whether the baby has learned to hold its head up, sit, crawl or walk. PlayMama is tailored for the mother and child convenience select baby’s age, capabilities, place; outdoor baby games, indoor baby games, child sandpit games, baby bathtime games and even mood; Quiet, Active or Just For Fun. A top app for child development, baby games for newborns to one year olds, two year olds, three year old and four year olds. Baby’s skills tracked automatically and share babies development with family and friends. Feel better after pregnancy with app for easy post-pregnancy yoga for mothers at home providing safe yoga workouts for postpartum phase. Tailored app for new moms to pick time they have available to exercise with or without home prop, pick their body area to work on, right and wrongs for yoga workout and track yoga exercise progress. WellMama gives new moms and women with children quick 5 and 15 minute yoga workouts for quick relaxation techniques to help stress, postpartum pain and give new mums energy with easy home help through simple yoga exercises for beginners. Easy Yoga workouts for busy mums at home can help ease abdominal postpartum, pains after giving birth, general aches and pains after having children and reduce common physical back pain for your postnatal body caused by pregnancy, stress after baby, breastfeeding and carrying baby. Stretch neck and shoulders muscles to eliminate pain in neck and shoulders, revitalize and strengthen back muscles to prevent back pain, relax, restore and regain balance of mind and body.